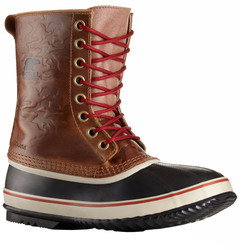 One of the brand's most popular men's boots is the Caribou Boot. 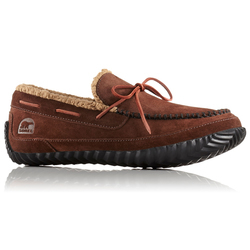 It has a Nubuck leather upper and rubber lower portion with waterproof construction. 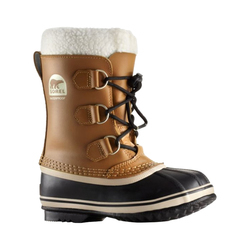 A soft Sherpa Pile snow cuff keeps powder and cold drafts out, while a removable ThermoPlus inner felt boot keeps the feet warm in frigid conditions. 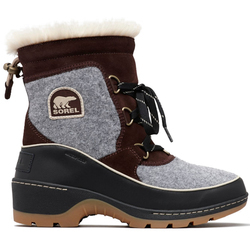 Sorel pays the highest attention to detail, and the boots have weatherproofing features such as sealed waterproof seams and the brand's AeroTrac non-loading, high-traction outsole. If you want the same boot with a slight upgrade in lining, the Men's Caribou Wool Boot has a wool inner boot instead of felt. 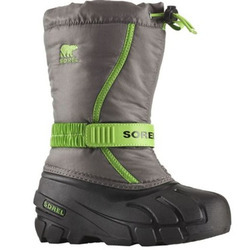 It keeps the feet cozy and protected down to temperatures as cold as -40 degrees Fahrenheit. 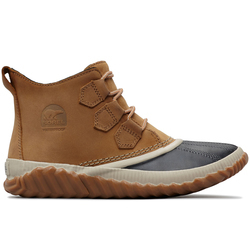 Sorel's Women's 1964 Graphic Boots have a durable rubber bottom with a suede upper. The standard 1964 Premium CVS boots are made with a waxed canvas upper. Both have a felted wool liner and waterproof sealed seams to ensure unstoppable protection in all types of conditions. They come up above the ankle, making them highly protective and easily wearable with pants. Made with graphic floral prints on the upper, the printed version has added style for severe durability with a touch of femininity in the cold. 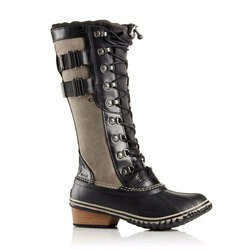 For women who want taller protection, Sorel's Cate the Great Deco Boots encase the calf in protective waterproof leather. A faux fur snow cuff adds serious style and keeps powder and cold drafts out. 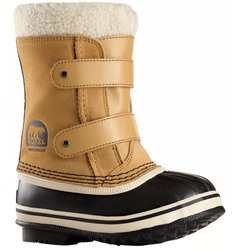 The boot also has a felt lining for warmth in temperatures down to -25 degrees Fahrenheit. They have a rubber lower shell for foot protection and waterproofing. A rubber outsole with a herringbone traction pattern ensures secure footing, even on snow and frozen surfaces. The shaft is 14 inches high, giving a luxurious tall boot style. 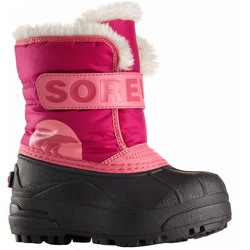 Sorel also closely monitors its factories for labor conditions and environmental impact. The brand values a safe workplace with fair wages and hours of work, and it also takes steps to remediate any pollution typically caused by boot production. 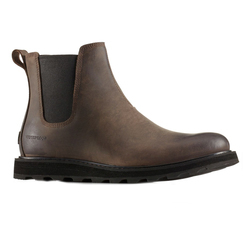 Not only will the boots protect your feet; you can also feel good buying them. 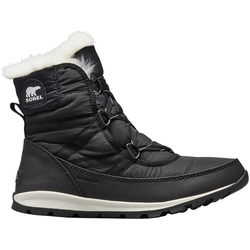 Travel to just about any cold climate in North America and many of the smartest and most stylish people around will be wearing Sorel during winter. 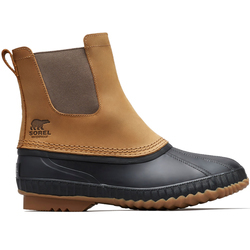 The brand's top-quality rubber, leather, wool and synthetic materials protect the feet like none other, while sealed seams, secure lacing systems and unbeatable tread designs are peerless engineering feats in the world of winter boots and rain boots. Whether you live in the city and want something for the commute to work or live on a farm and want something to wear in the fields, Sorel is an easy choice for snowy or wet conditions.